The Safe Schools/Healthy Students (SS/HS) Framework tool helps you and your partners understand and plan a comprehensive approach to mental health promotion and youth violence prevention. Since 1999, states and communities across the country have been working together to promote mental health and prevent youth violence. 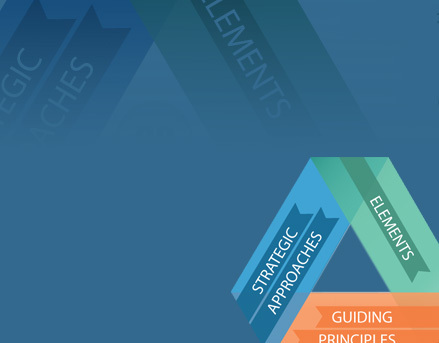 The Safe Schools/Healthy (SS/HS) Framework Implementation Toolkit is an online guide based on the experience of states and communities funded by the SS/HS grant program. It includes guides, tools, and resources to help you Plan, Implement, Sustain & Expand this unique approach in your community. The Safe Schools/Healthy Students Framework Implementation Toolkit is designed for use by school-based teams at the community level, and can also be used by teams based at community mental health and youth-serving organizations working in law enforcement, juvenile justice, and social services. Is the Safe Schools FIT for you? Watch the Video above, read the Overview, or review the FAQs: Is the Safe Schools FIT for Me? A comprehensive approach to increasing school safety, promoting mental health, and preventing youth violence begins with a plan. A plan will help your community collaborative work with partners, families, and youth to assess challenges, inventory resources, and select programs. The tools in this phase will help you develop a comprehensive plan. As part of your planning process, your community collaborative likely selected programs and planned services. Now you will need to put this comprehensive plan into action. The tools in this phase will help you implement your comprehensive plan. For your community collaborative to have a lasting and deep impact in your community, you will need to sustain and expand your efforts. The tools in this phase will help you sustain and expand the programs and services that you implemented.